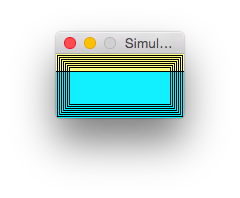 I wrote a small SSD1306 library for AVR, with a framebuffer. It even features a small simulator to let you have a preview of what it’ll look like on the OLED screen without having to upload again and again code to your development board. The library is released under a very permissive license, to allow people to integrate it without any constraints. This entry was posted on Wednesday, January 28th, 2015 at 11:56 pm	and is filed under AVR, library. You can follow any responses to this entry through the RSS 2.0 feed. You can skip to the end and leave a response. Pinging is currently not allowed.